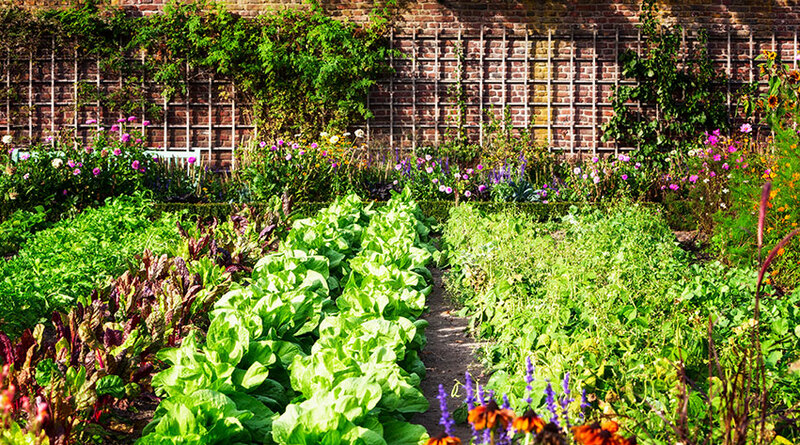 If you’re as interested in cooking as you are in gardening, perhaps you’ve considered creating a kitchen garden to introduce homegrown produce into your food. No matter what size space you have to work with, growing fruit, veg and herbs in your own back yard is so rewarding, as well as creating your own regular supply of healthy and incredibly fresh food. 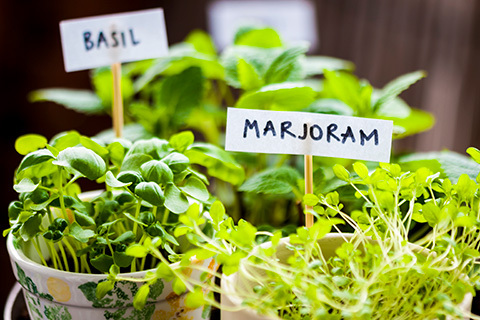 Smaller spaces are great for starting a herb garden, while bigger plots will allow you to really explore growing produce including anything from celeriac to strawberries, and let us tell you, eating something you’ve grown yourself makes it taste all the more satisfying. And what’s more, you can make sure that you have produce throughout the year, with just a few simple steps. There’s so much to try if you’re keen to create a Kitchen Garden, it’s easy to get overwhelmed, so have a think about what you like to eat first and foremost, then consider the conditions you have in your garden and act accordingly. Whether you’re going for a fruit or veg patch, these are some of our favourites for ease of growth, colour and, most importantly, taste. Vegetables can be grown in containers, and kept on windowsills or patios if you have a limited amount of space. Don’t feel you have to stick to a certain set of rules when choosing containers – pretty much anything can be used as long as it has enough space, so don’t be afraid to think outside the box. Herbs, beans, peas and potatoes are just a few of the veg that grow well in containers. 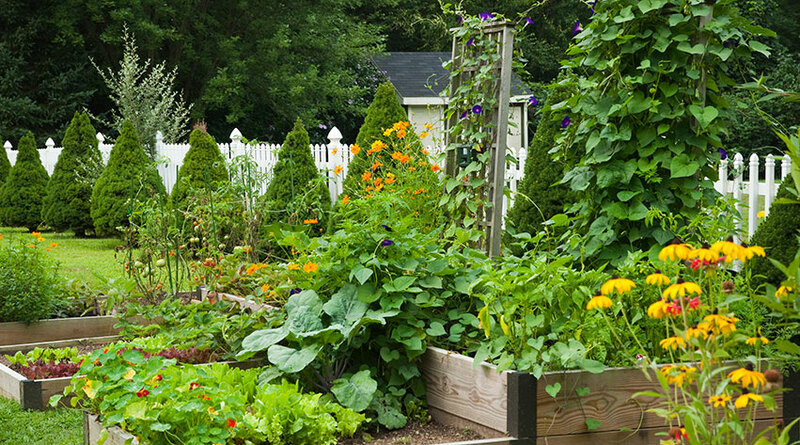 If space is on your side, it might be worth creating a vegetable “plot” and limiting your vegetable growth to one area of your space so that you can still enjoy the other elements of gardening, such as flowers and other plants. Beds for vegetables should be fairly large (about 3m wide and as long as you have room for). 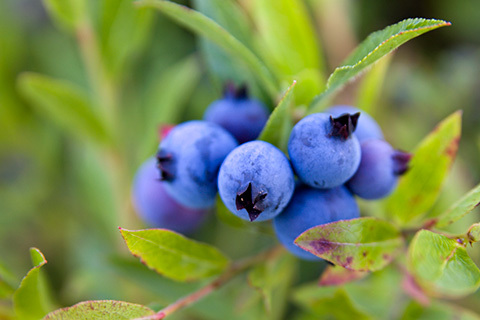 If you’re going to be growing both fruit and vegetables, you can create a separate area for fruit if you have a lot of room, otherwise they will grow well alongside the veg. Both fruit and veg require the same sort of growing conditions but the difference in colour between the two can make your produce patch look visually very appealing. Herbs grow particularly well in a raised bed. It’s worth keeping all of them together so you can take whatever you need when you’re planning meals, and it makes good sense to make your herb garden close to the kitchen for easy access! Try and have areas of shade for some types of fruit and veg if possible. Both fruit and veg grow well if they are planted in rows or blocks – but whichever you decide, you need to stick to. Planting in rows tends to be the more traditional way to grow produce, while blocks allow you to create mini plots within your plot. If you’re really keen on the idea of developing your kitchen garden further, consider creating a cold frame (low, flat, fixed structures with hinged, glazed lids), a mini greenhouse or full sized greenhouse, both of which are good for growing plants that are at risk if left in the winter elements. Creating a mixed garden with plenty of flowers means that you will attract a wide range of predators such as ladybirds and hover-flies who will love attacking pests on your behalf. Some flowers, such as marigolds in particular, actually deter some pests, so it’s worth giving flowers your attention too. This is especially smart in an organic kitchen garden! Raised beds are a good way to create a plot that has good drainage, and they often look quite nice, especially when filled with sumptuous crops ready for harvest. 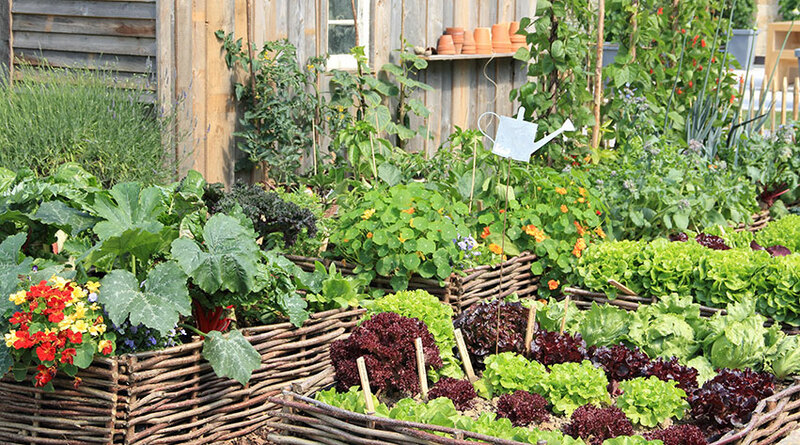 Kitchen gardens can be designed with colour in mind, as well as produce. 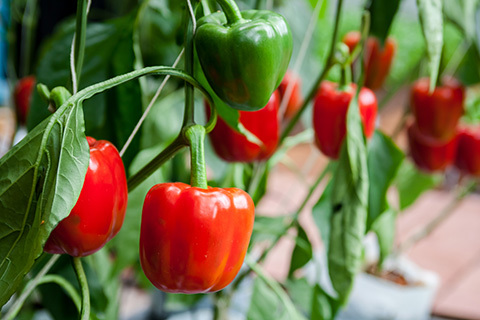 If you’re the market for hot colours as well as tasty food, red or yellow peppers are easy to grow and add a splash of vibrancy, while courgette flowers have vivid yellow blooms and runner beans have bright red flowers. The very best part of a kitchen garden is when it gets round to harvesting time and you’re able to start enjoying your crops. 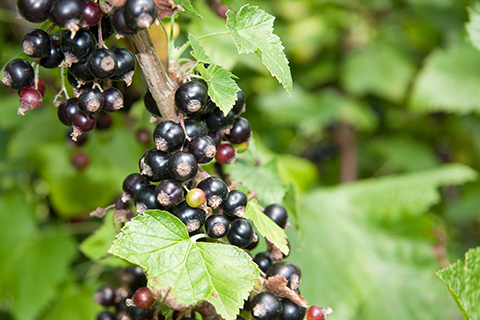 Most tend to be ready during the late summer or early autumn, but each have their own requirements and needs for harvesting. Some need picking regularly, while others will be happy to wait until you’re ready for them. Don’t be afraid to experiment! 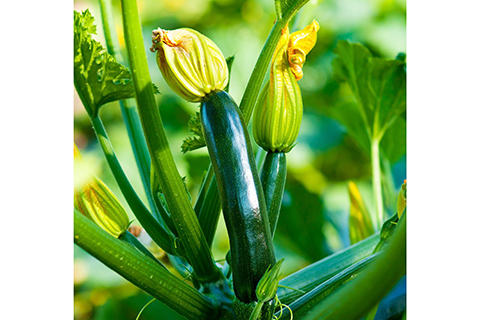 Growing your own veg is such a unique opportunity to try something new, so take the chance to try new food. 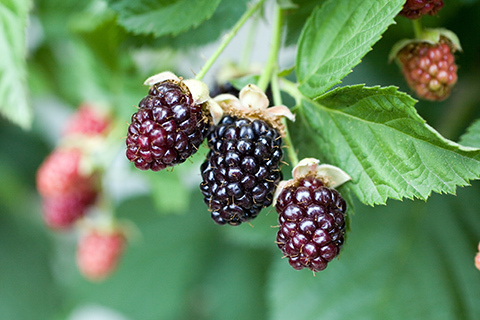 While you should grow the things you enjoy, consider branching out and tinkering with a range of seasonal produce and varieties. Perhaps you could even consider including a seating area which you can use to sit outside and enjoy the food you’ve grown, in the environment you’ve grown it in.